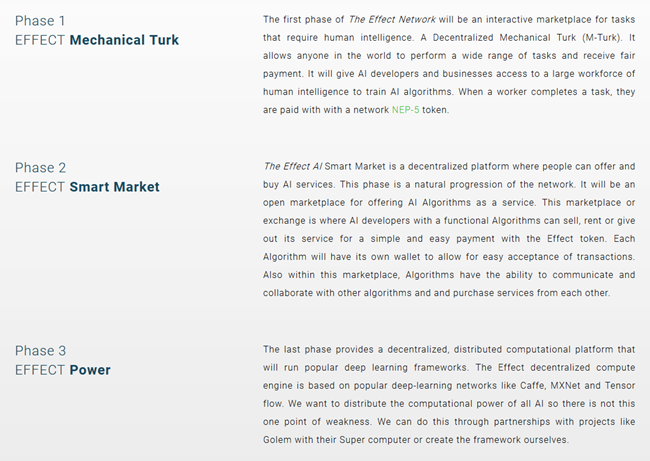 Effect.ai is a new project in the crypto sphere that wants to offer a free market of artificial intelligence services. 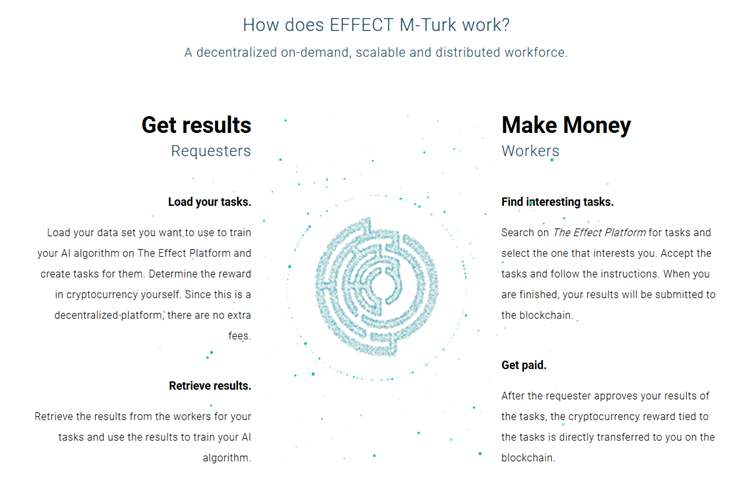 In this decentralized network called The Effect Network, their own tokens will be used for payments between service providers (Workers) and customers (Requesters) when a request concerning tasks like image classification and data labeling has been completed. In detail, the first phase, M-Turk, will have the following setup for workers and requesters. What’s noteworthy here is that the payment process is set up in a way that fully secures both parties. The requester gets to fully check the results of the worker before submitting payment and the finished service of the worker will only unlock and function when payment has been submitted and confirmed. Of course, tokens that will be used in such a marketplace must have a certain amount of stability to keep the exchanged services running smoothly. E.A has found its own solution by using a mixture of different tokens in their Effect Network. The market for AI is predicted to jump up to several trillion dollars in the next decade so an early attempt at providing a marketplace for AI services and computing power has huge potential if enough people will use the platform when it launches. With E.A that chance is pretty high because of the sophisticated solution they offer in their project, additionally, 18% of the funds will be distributed to the worker and requester acquisition. It also provides an opportunity for individuals to perform AI services instead of work being outsourced to a company. This makes it attractive for a range of people that work as freelancers and are looking for work requests outside of the corporate sphere. 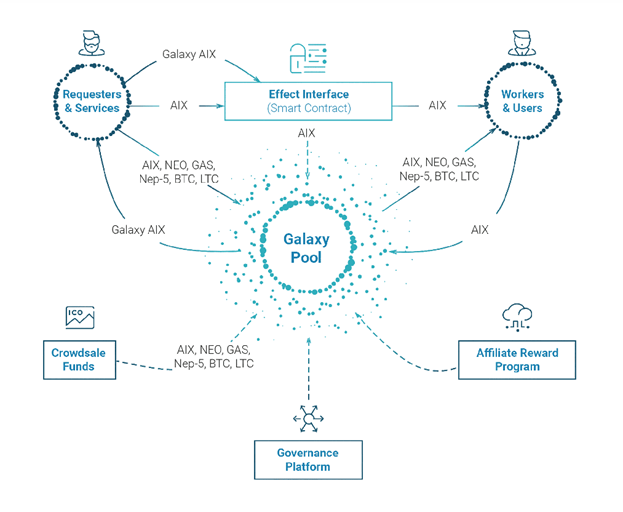 The platform also makes complicated and costly business contracts redundant with its simple work and payment operation which means that at a certain volume of users corporations themselves will also want to have certain tasks done through The Effect Network. The token sale will begin March of this year but the exact date is still TBA. The Team is mostly from the Netherlands and has already founded and worked in relevant sectors concerning their project. 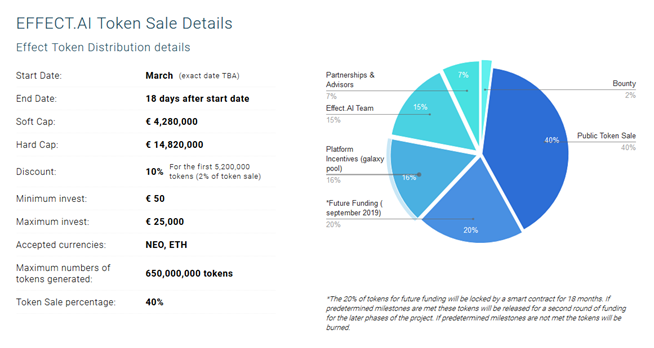 I will take part in the token sale in March because in my opinion effect.ai has developed a great idea for a market that will see exponential growth in the near future.